« Lympstone Art Group A.G.M. 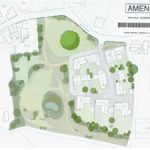 Lympstone Nurseries Plans for Development – drop in. We would like to invite all local residents to a drop in session summarising the latest plans for the development of the Nursery site.